Being an exceptional leader in the security industry, CP Plus is always in the forefront of global innovation. CP Plus security systems are widely acclaimed in the market comprehensively. It has the advanced systems that offer refined solutions to your various security needs. And by delivering solutions consistently to the business and homes, Datavox India once again proved it’s the best CCTV solution provider in Kerala. Though the multitude of security products are available we deal with CP plus IP cameras, CP plus Analog Cameras, CP plus Network Video recorder and CP plus HDCVI camera. No other analog cameras can balance the quality and output in a better way than the CP plus Analog cameras does. These cameras are perfectly good for any security application that needs quality surveillance. Keep a watch on the activities with the CP plus Analog cameras, you can assure that your premises are safe and secure. Datavox India deliver impeccable CCTV solutions with these products to industries and residences in Kerala. The recording solution that CP plus NVR (Network Video Recorder) delivers is outstanding. Datavox India is experienced in utilizing the features and functionalities of CP plus NVR. We make it possible for the business of all sizes to deploy a robust security surveillance with varied range of CP plus NVRs and CP plus IP cameras. It has the following features and it includes support of Real time live view, Support other brand IP cameras, Smart search by time and date, Simultaneous video Output, Play back features and much more. Datavox India has prowess to deliver you a total security surveillance solution to your business and residences in Kerala. 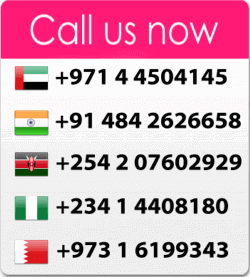 We have our service operational in the region of Abu Dhabi, Umm Al Quwain, Ras-Al-Khaimah, Sharjah, Al Ain and Ajman. Our ability to design and implement the systems across various industries and institutions have made us the best CCTV service provider in Kerala.